Educational settings are required to publish information about what they offer to children and young people with special educational needs and disabilities from September 2014. This information will be published as a PDF and can be found on each school’s record within The Orb. If schools provide it, we hope to also be able to publish additional information including photographs and videos as requested by families during consultation about they would find useful. You should not assume that, because your child is making slower progress than you expected or the teachers are providing different support, help or activities in class, that your child has special educational needs. The placement is an efficient use of the LA’s resources. The Council has a Strategic Policy for Inclusion which works to promote inclusion, reduce disadvantage and support potential learners into learning experiences. Torbay’s key principles of inclusion includes reducing the number of pupils with Special Educational Needs in special schools and ensuring that the number in mainstream school rises. 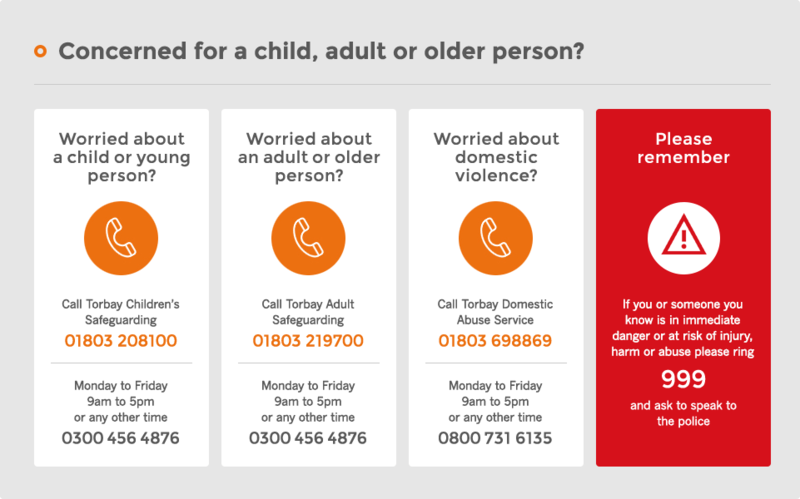 SENDIASS is the Special Educational Needs and/or Disabilities Information, Advice and Support Service for Torbay. It is a free, confidential and impartial information and advice service set up to support parents and carers of children aged 0-25 with special educational needs and disabilities (SEND).